WordPress | MY LIFE AND LIVING WITH AUTISM. 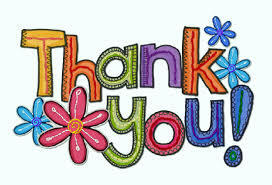 Hi I would like to give a big thank you to Earthchanges2013 .He has been very helpful and encouraging. here is his link to his blog. http://welistentomarymagdalene.wordpress.com/I would also like to thank all of you who are following me at the moment or liked a post that i have done. Thank you. I wrote this a few weeks ago on blogger. The reason i came to WordPress was because i kept getting views by bots and not real people, this is what i wrote. OK im back from tennis now. we have more or less the same routine every time we go. Firstly we start off by hitting a few long shots to each other for about half an hour to get our eye in (or eyes) then we have a match. We usually have about 6 games. Unfortunately today my big brother Adam won by 4 games to 2,then we warmed down a bit by doing a few more long shots again (usually we play the square game where we both stand near the net and have to try and get each other out by hitting it in the squares). To be honest im having a few problems with sports in general. For example today at football i didn’t score any goals or set anyone up, but usually i set 1 or 2 goals up and get 1 or 2 in myself (i play as a striker). And tennis for the past month or so i cant seem to beat Adam. oh well, im going to have a shower now and then go on THE LAST OF US for a hour. Its a new ps3 game which has had loads of good reviews and supposed to be one of the best games of this generation of consoles. Questions about Autism and old blog. Hi im a 20 year old autistic boy ( or man as some people would say, but i dont liked to be called that ) from Bolton England. I have OCD as well which stands for obsessive compulsive order, which means i sometimes feel the need to do something 3 times or i think one of my family will get hurt or something. I will use this blog for different things like what i have done that day or maybe small reviews about things like games and random stuff like that. My writing will not be very good at first but overtime i hope i will improve. Thanks for reading.